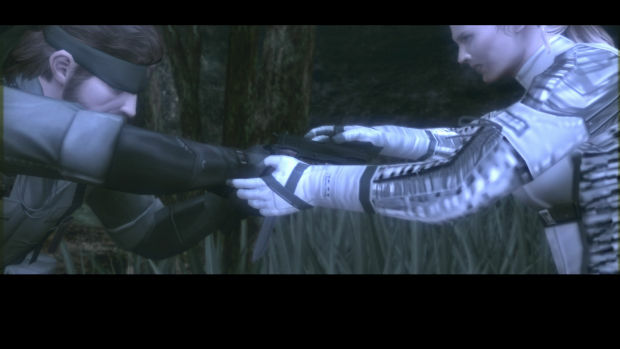 Metal Gear Solid is very much a love it/hate it series. 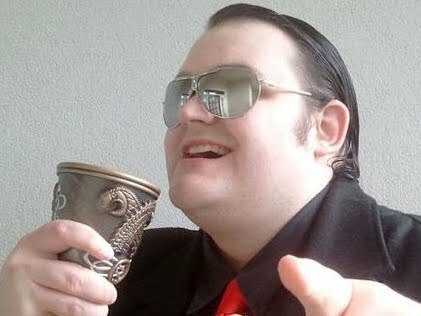 Those that become absorbed in its shifting narrative, stealthy gameplay and unapologetically eccentric nature become obsessed, while those who find the series convoluted and confusing will likely never regard it with anything more than contempt. For those in the former category, the purchase of Metal Gear Solid HD Collection simply is not in question. Nevertheless, one still has to wonder how well Metal Gear Solid 3: Snake Eater and Metal Gear Solid 2: Sons of Liberty have aged, and whether the inclusion of PSP title Peace Walker makes for a valuable package overall. Then again, when one of those titles is worth the price of admission alone, it is perhaps not a question that needs to be asked. Metal Gear Solid HD Collection brings together the series' two PlayStation 2 outings and adds the console version of former PSP-exclusive Peace Walker. As is the case with similar HD remasters, the games have been preserved faithfully, with no major changes added outside of a fresh coat of paint to make the titles look more attractive on HDTVs. Each game comes with its own digital manual and a brief summary of what that particular chapter is all about. Its game selection screen is glossily presented, complete with the sketch-like artwork that has become a series trademark. The Xbox 360 version ships on two discs -- one containing the PS2 titles, the other containing Peace Walker -- and whatever version you get, Snake Eater is presented as the first title, with its narrative representing the earliest chronological point in MGS' overall story. Playing Metal Gear Solid 3: Snake Eater feels just as fresh today as it did back in 2004, remaining one of the few games to truly stand the test of time. Graphically, it has aged incredibly well so the HD enhancement feels like a true compliment to the already superb animation and outstanding art direction. Only the relative simplicity of the game's textures indicate Snake Eater's age, and playing the game on an HDTV only reinforces just how terrific the title looked for its time. In fact, it could give a few modern titles a run for their money, as far as I'm concerned. Thanks to a range of unique features that are yet to be replicated even in successive Metal Gear Solid installments, Snake Eater's gameplay seems just as fresh as the visuals. The open-ended approach to stealth combat with bosses that present multiple tactical options, the range of animals to capture and eat, as well as the in-depth camouflage system, are still brilliant additions that no other title has exploited since. That said, the game's innovations definitely go a bit far at times, with the constant need to open menus and tend to Naked Snake's injuries proving particularly frustrating. Nevertheless, this is still one of the greatest videogames ever made, with its beautiful story, enriched gameplay and incentive for multiple playthroughs. Not to mention, it is one of the last bastions of legitimately brilliant boss encounters, and that fact alone secures its place as a memorable, remarkable experience. 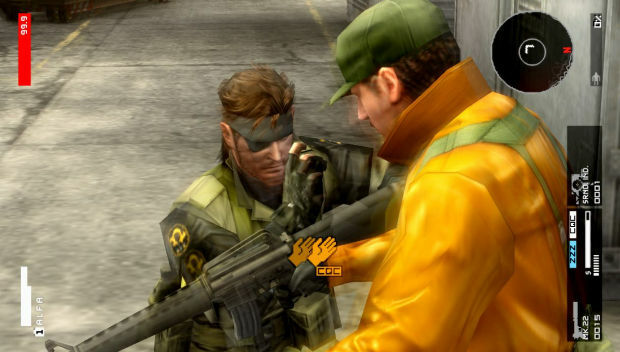 Metal Gear Solid 2: Sons of Liberty is one of the most controversial sequels of all time and may still be regarded by fans as the "worst" chapter in the series. Nevertheless, it remains one of my favorites in several ways. 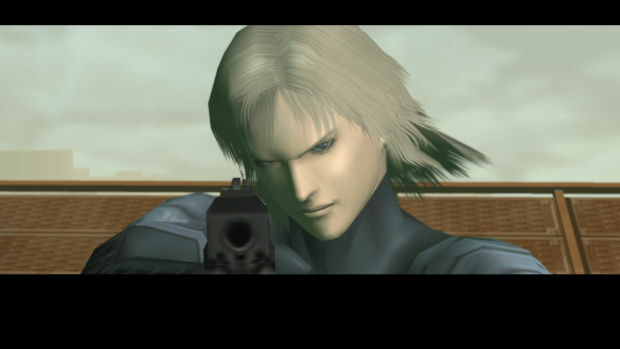 The introduction of Raiden as protagonist was a crucial element in the development of Solid Snake's character, while Solidus is a tremendous example of a villain with noble intentions condemned by irredeemable actions. Even the sub-plot involving Revolver Ocelot's spooky arm is delightful in its bizarre campness (it was often maligned for jumping the shark, but in a series with telekinetic freaks and ghost rivers, can we really single it out?). While I still have a distinct fondness for the game, there's no denying that MGS2 has aged considerably. Lacking the depth of Snake Eater, Liberty's simple environments and inflexible stealth gameplay doesn't hold up anywhere near as well as the game that would follow, and playing it so soon after beating Snake Eater, its flaws are magnified to a capacious degree. That's not to say the game is bad. As an experience, at least, it's still got a lot of merit. The "Big Shell" environment is unlike anything else seen in games, and one grows quite attached to it the same way PSX players did with Metal Gear Solid's Shadow Moses. While its boss fights aren't as engaging as Snake Eater's, there are still quite a few ambitious encounters, and there are plenty of easter eggs and extras to uncover. My advice would be to give it a week or two between games if you plan on playing Snake Eater first. Both Snake Eater and Sons of Liberty come packaged with their "Subsistence" and "Substance" extras, respectively. These special edition versions come with extra content and options, meaning that Snake Eater gets the incredibly welcome camera movement addition, as well as playable MSX versions of Metal Gear and Metal Gear 2: Solid Snake. 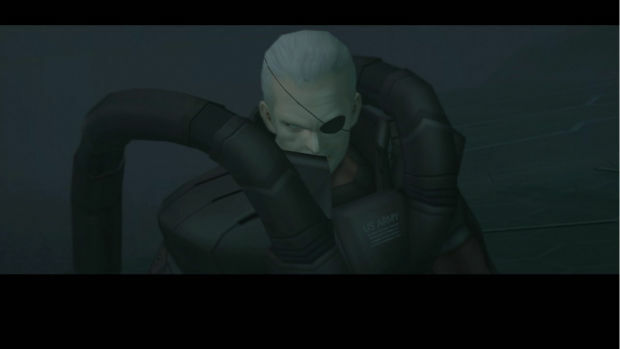 The "Substance" iteration of MGS2 comes packed with a huge range of VR missions and the story-based "Snake Tales" chapters that show Snake's perspective of the Big Shell Incident. The only alteration to these editions is the removal of Metal Gear Online and the Snake vs. Monkey mode from Snake Eater. While MGO isn't something worth missing, it's certainly a shame to be without the rather fun Monkey missions. It should also be noted that the Xbox 360 controller doesn't feature the pressure-sensitive input that were a big part of the combat in these two games. However, aiming and relaxing guns are handled quite adequately with a click of the movement stick, which I actually find more manageable than dealing with varying degress of button pressure. Rounding out the package is Metal Gear Solid: Peace Walker. I can't say I'm the biggest fan of Peace Walker, and I am less so of its console version, mostly because it was so clearly designed for the PSP. Peace Walker's segmented mission-based gameplay and focus on army building and micro-management make for a game best left in the portable realm, where fiddling around with menus and smaller, bite-sized slices of action work best. The lack of a suitable control scheme replicating MGS3 and MGS2 is quite a noticeable omission as well, as the game still feels like it has a PSP's control scheme, no matter what input mode is selected. Once again, it's not a bad game, it just doesn't quite feel at home in the same package as MGS2 and MGS3. The HD visuals are far less of a step up and the game would just look and feel better on a handheld. 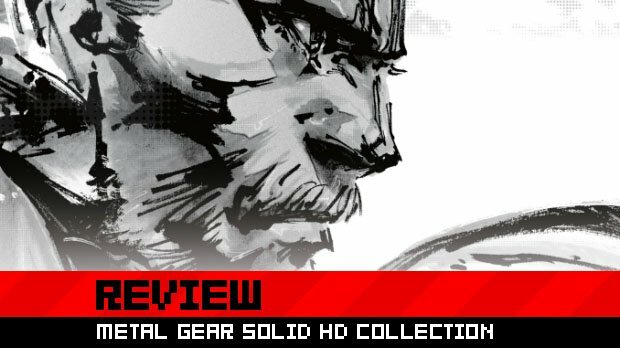 Played sequentially as presented, Metal Gear Solid HD Collection is a product that gradually decreases in entertainment value, starting with a sublime HD version of an already inspiring game and ending with an unnecessary port of an awkward handheld title. The lack of the original Metal Gear Solid leads to a collection that cannot help feeling incomplete. As the most iconic and important game in the franchise, its exclusion is hugely noticeable and remains somewhat disappointing. Despite its availability elsewhere, it would have been the perfect addition. All told, however, one must take note of a very simple fact -- Metal Gear Solid 3: Snake Eater is so damn good that it single-handedly justifies the $49.99 asking price. I would happily pay that for the game on its own, so the fact that it comes with the still-engrossing Sons of Liberty and an extraneous Peace Walker is pure gravy. All told, this is a package that manages to feel like it went over and above despite a handful of glaring omissions, and creates a package that Metal Gear Solid fans won't regret picking up. While one cannot call this the ultimate tribute to the Metal Gear Solid series, it is still a glorious production indeed. 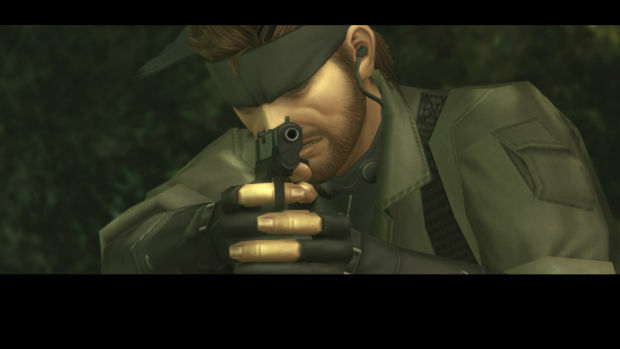 At the end of the day, I'm still in a dream ... Snake Eater.